Discussion in 'Manchester United Forum' started by jojojo, Apr 6, 2018. Just thought you would like a laugh. Get your violins out. City are tired. "We need support because we are so tired. United rest all week. We have a tough time mentally and physically [after Liverpool]." - Guardiola on tomorrow. 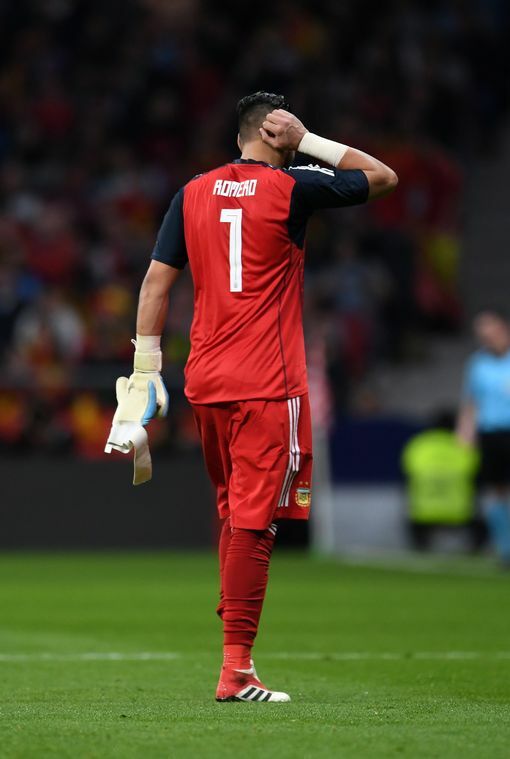 “Everybody is coming back but Sergio [Romero] is injured,” he said. Well, just spend 500 million on quality energy drinks now, problem solved. Do you have the players to hurt City? My motivation is to finish second, I still have the motivation of finishing top four, mathematically is not done, is a good distance but not done so that’s the first objective but after that I don’t hide. That in practical terms and finish next season to finish second third or fourth is exactly the same, you don’t win the title but qualify for the Champions League group stage, but I prefer to finish third and fourth and second and first, and we have been second for many many months, is out objective to fight for that and for that we need points. My objective for tomorrow is try to have points to finish second. Does the way the first leg of the Champions League went for them give you different questions to answer? Did City's game against Liverpool give you ideas of how to approach the game? He’s consistent with his answer his answers at least. He is such a grump. The press are idiots, I wouldn't give them the time of day either. Does he hate Simon Stone? 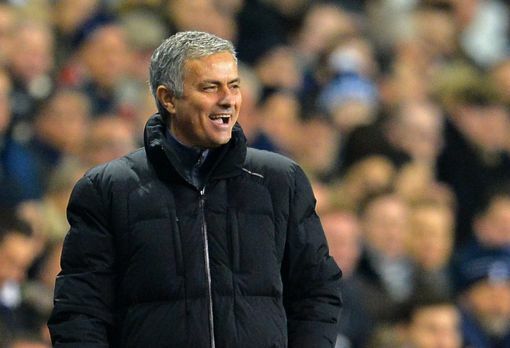 Has Stone been one of those saying Mourinho is a has-been? The presser these days are shorter than ever.....probably a good thing. ANyone that thought he was going to change is approach cause of Liverpool doesn't know the man. “Are we? 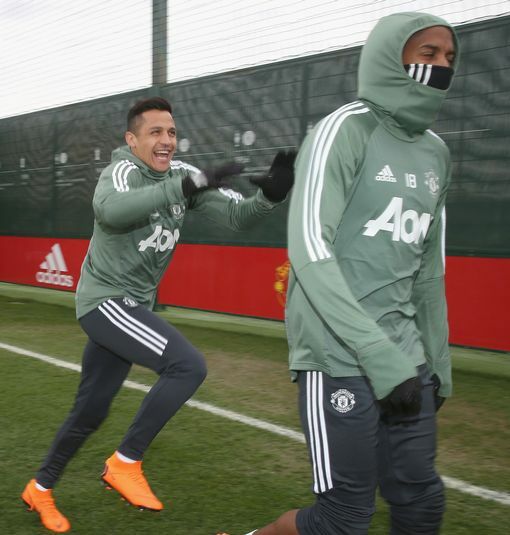 That’s your opinion,” Mourinho shrugged when it was suggested that because United ‘got in ahead of City’ to buy Sanchez it showed they could compete. “It’s your opinion. Ferguson spent 20 years grunting at the press on a Friday, he thought they were muppets too. He was right. There is a couple of Clown managers in the PL , if its that hard to watch you should start thinking about new horizons. I’m not a pundit, I’m not going to comment on the game. Atleast 75% of the gloom and doom associated with us these days is only manufactured by the press and isn't actually that bad in reality. So Jose being terse with journalists is understandable. He is very quick to take what Manchester City feed him as gospel - not always as balanced as he should be. 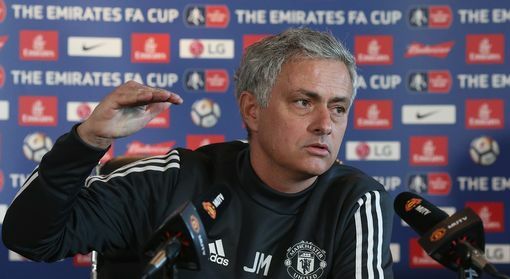 I watched a fair proportion of the SAF press conferences and he certainly has his stroppy moments but I don't remember him being quite as bad as that. Like it or not, the media are a beast that needs to be fed - no wonder that they end up making sh1t up. I'd be grumpy at these press conferences. Press conferences for a bloody football match every week. Mundane, banal questions from a bunch of worms. Situations like these shows us how lazy sports journalism can be. How does he answer those ridiculous questions if he's not doing the work for them? Does it show you can compete...ridiculous question to ask. Russian TV will be hoping he is a bit more chatty when he actually is a pundit. 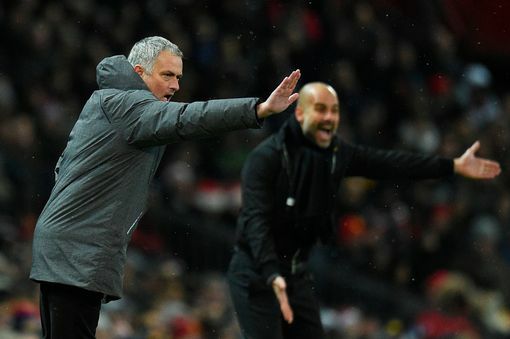 Can United get closer to City next season? They ask fecking dumb questions and then get stroppy when he doesn't give them a stirring speech in response. Idiots. It was a good week, a normal week, no mid week match because no Champions League for us so more time to train but a good normal week I would call it. I don’t know what can be decisive the more I play big matches the more I can relate the more difficult it is to answer because sometimes you think you expect one thing and then the game is completely different so honestly I don’t know. Just being cagey with some of his responses. Do they really expect him to reveal his match tactics tomorrow? Idiots! No idea. It didn't seem to answer the question at all. Why he is obsessed with getting points for 2nd? For me what's important is that tommorow is an opportunity to lay down a marker for next season and when they asked him about Liverpool-City game and whether it changes his approach he says no. Its concerning if hes watched that game and decided in his mind that defending is the way. Expect more bus parking tommorow. 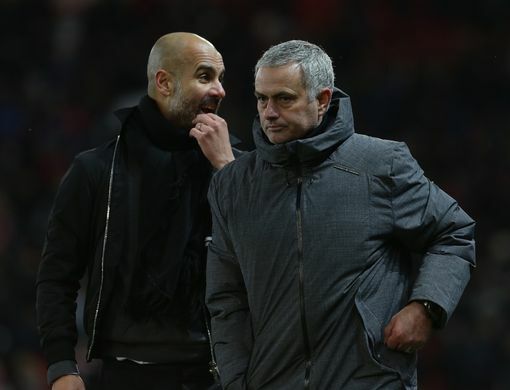 Thing is, I don’t think Mourinho is the type to admit that the likes of Pep / Man City would affect the way he approaches a game. He would like to portray the idea that he is confident and knows what he is doing IMO. We have a lot of fecking work to do to get close, is what he's saying. That this question will be answered by end of next season, I guess. 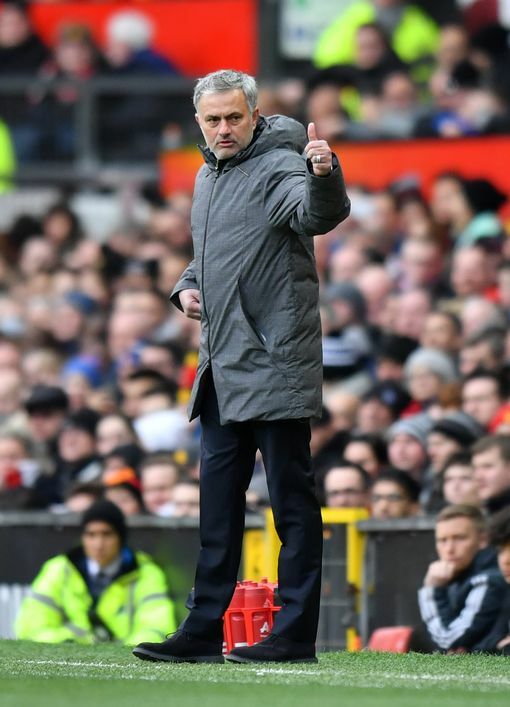 Think we will need to see how we perform in the game, if we give it a go or not, the result, how Jose reacts to the result. I hope as you said that he understands the significance of this game. That we do not want to be the team who hands them the title, that it is a derby match that we also want to win. 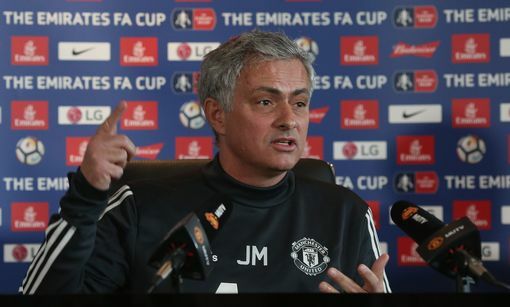 He could just have said "Look, I have told Pogba that if doesn't get that blue streak out of his hair before the derby then I am going to sell him to QPR in the summer".